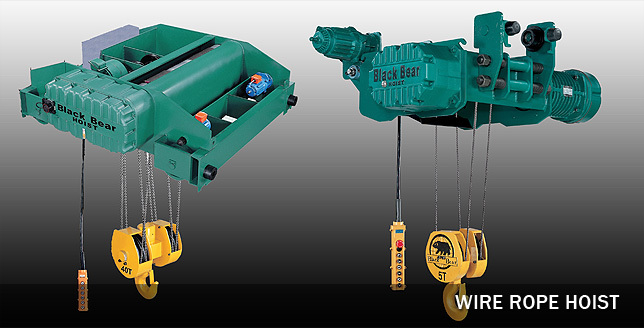 The wire rope hoist line is available as a monorail suspended unit, a footmount unit or a top mounted double girder trolley; all have a service class of “H-4” or “D”. 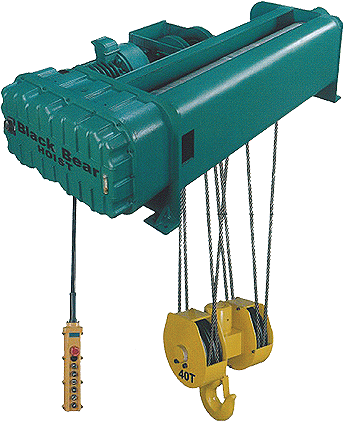 Monorail hoists are available from 1 to 20 Ton capacity, with true vertical lift, single or two speed (3:1) as well as variable frequency drive. 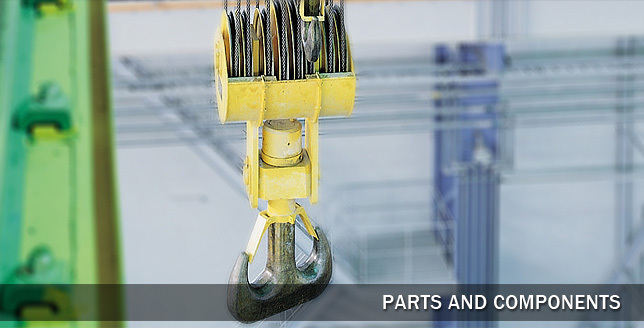 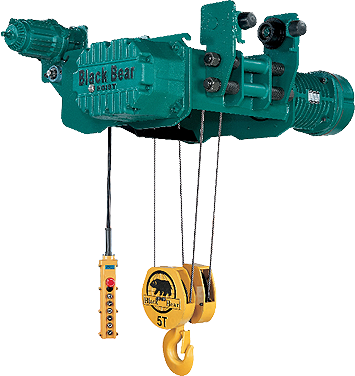 The footmount and top running double girder trolleys are cataloged through 60 ton with 40′ of lift. 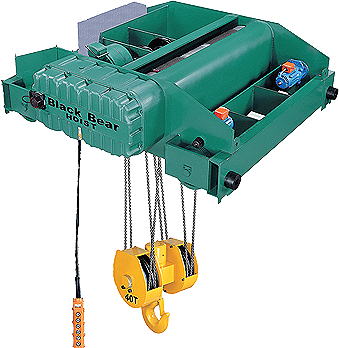 However, for those applications where a catalog model just isn’t right-we offer “built-up” trolley-hoists to 100 tons and beyond. 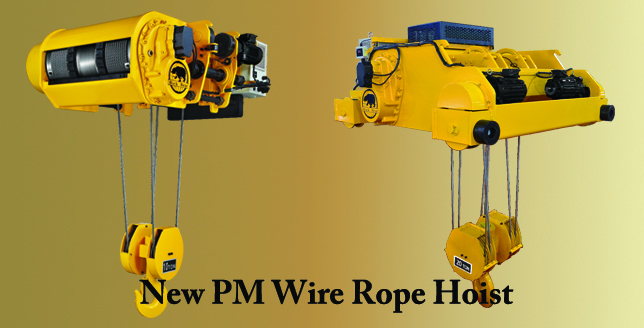 High Strength 19×7 IWSC (195kg/mm2) Wire Rope. 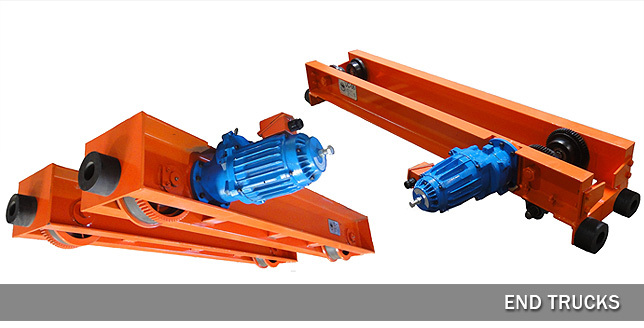 DC motor brake with optional AC motor brake. 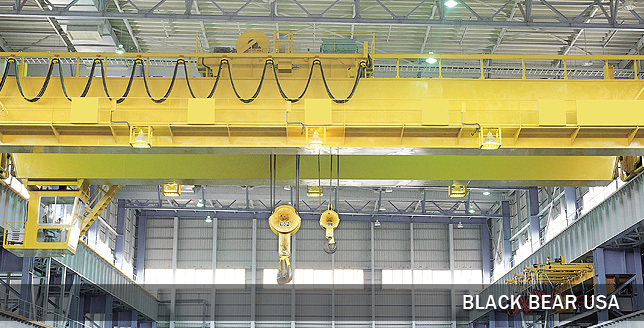 Heavy cast iron class F motor insulation (single speed) for H4 service. 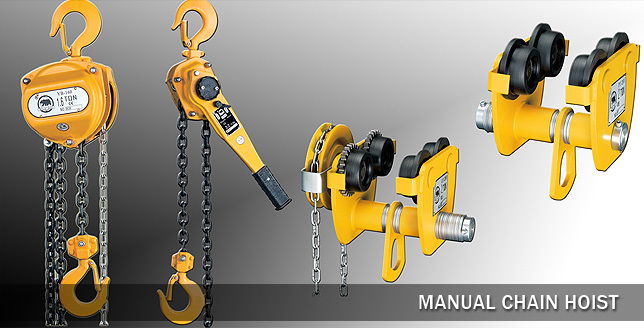 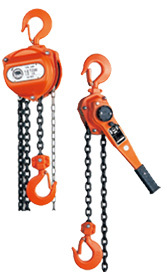 True vertical lift and forged steel hook with safety latch and thrust bearing enable the hook to swivel 360 degrees. 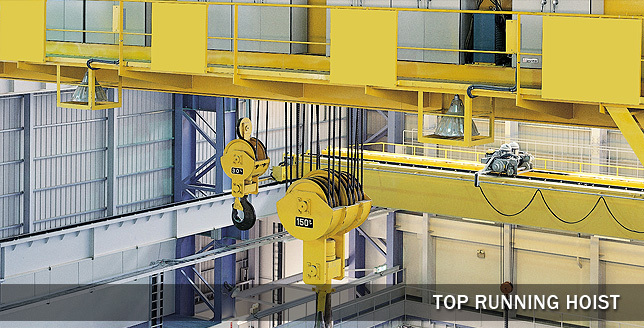 On all monorail hoists, a paddle type upper control circuit limit switch is a standard feature. 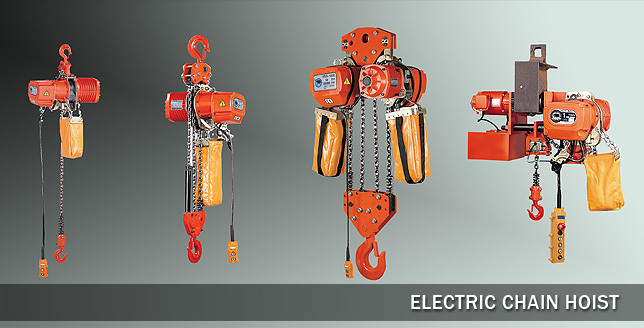 Upper and Lower Geared Limit Switch are available as an option.